Located in Texas, Northern California, and Hawaii, Paris For Rent is a US-based agency operated by World Guests Abroad LLC with service partners on the ground in Paris. Founded in 1998, we have been hosting thousands of guests in our apartments in Paris for almost two decades, with nearly 30% of them loyally returning year after year. Our customer service is highly personalized, from the booking process in the beginning until your checkout at the end of your stay. 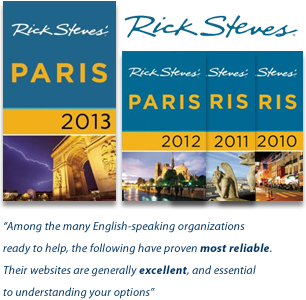 All of our bilingual staff are either French or Americans who have lived in Paris and know the city by heart. We also have permanent partner representatives in Paris to greet and service you during your stay in our hand-selected apartments. Our rates are in US dollars, protecting you from currency fluctuations when paying your balance. Location: all of our apartment rentals have to be in the historical heart of Paris in the core neighborhood of the Marais, St Germain des Prés, Latin Quarter, Ile Saint-Louis or the Champs Elysées and Eiffel Tower areas. Price: we guarantee the competitive pricing of our properties and we only select apartments that are an excellent value for our customers. Comfort: all of our properties have to offer a high level of comfort with beautiful, fine quality furnishings, equipment and modern amenities. Maintenance: we always ensure that the properties we offer are well maintained. We are available to answer any further questions about our services so contact us today and let us know how we can make your stay in Paris parfait. A California resident, Philippe grew up in the Champagne area and Paris before moving to the Silicon Valley to join the tech innovation wave. A veteran marketing executive, he co-founded in 1998 Paris For Rent and Paris Luxury Rentals which eventually merged into World Guests Abroad. He oversees all aspects of business development, digital marketing, and technology. In his spare time, Philippe loves to travel with his family to new parts of the world in search of travel experiences and adventures to live and share. Born in Paris to French parents avid for art, science and culture, Pat spent much of her childhood and teenage years roaming the city for art exhibits, performance shows, unique shops and antique finds, and of course for food. She moved to the US, got a BA in international relations and settled in San Francisco where she owned a French bistro for 7 years. A passionate sailor and lover of the sea, Pat has been raising a family on Maui, HI for the last 5 years. Her ties to France and Paris remain very strong and she returns there at least once a year. Born and raised in Paris, Patrick lived for several years in le Marais. He moved to San Francisco in 1997. He now lives in Austin, Texas, where he bikes, runs and swims as often as possible. He enjoys horseback riding, and he is the proud "best friend" to two small dogs. He is passionate about Social Media and keeps an eye on the cutting edge by attending the South By Southwest Conference (SXSW) every year. Born and raised in Paris France, Franck moved to San Francisco 15 years ago after traveling the world. He joined the vacation rental industry in 1992 working with luxury resorts in Spain, in the french Caribbean and in Costa Rica. Franck is also a french cuisine and wine lover, proudly representing the hospitality "a la française" by working in numerous restaurants in the San Francisco Bay area. He is currently a resident of Hawaii but travels to Paris on a regular basis to enjoy his favorite city in the world and spend time with his family and friends who still reside there. Born and raised in Santa Barbara, California, Paige started traveling at a young age and soon found her passion for food and culture. For many years she owned and operated her own upscale Bed and Breakfast on Kaua’i, was later a private chef on luxury yachts, and has been in the hospitality industry for two decades. She has travelled the world and has lived in Hawaii, Mexico, Italy, and the Caribbean. She’s an avid cycler, swimmer, and gardener who divides her time between Maui and Tuscany, but she adores Paris and travels there at least twice a year. An American raised by French grandparents in Southern Louisiana, Jenn acquired an intense curiosity for the French culture at a very young age. But it wasn't until much later that she decided to live the Paris life for a year. Voilà! Now she spends much of her time in Paris indulging in the full panoply of French cuisine, architecture, and culture. A former real estate broker in the US, Jenn continues this passion in Paris, selling & offering rentals on the finest properties in the capital. Eleanor is your first point of contact in Paris. She will welcome you to your apartment, explain your neighborhood, and is on hand for any questions or issues during your stay. It is her responsibility to make sure everything runs smoothly upon your arrival. Born and raised in Paris, Sofiane is a nature enthusiast and loves everything our planet has to offer. From diving the Great Barrier Reef to exploring the Mexican coast line, he loves the ocean where sailing and diving are lifelong passions. Having worked in London and criss-crossed Australia with just a van and a backpack, it is fair to say travel is his calling. When he is not planning his next escapade, he will make sure your own Parisian adventure goes smoothly. To relax, Sofiane likes to cook, especially French food, and loves to explore Paris on his motorcycle. He is also a fan of music in all its forms and an expert at finding small live music venues and street festivals - which he will be happy to share with our guests. Born in Cambodia, Kimyi has spent part of his childhood in Vietnam and grew up in Paris. He has travelled all around Asia but Paris will forever be the city of his heart. He has always loved roaming around its streets, exploring its wonders and art. He enjoys biking over the bridges, along the Seine, past the Eiffel Tower, to wherever his fancy takes him. Before joining Paris For Rent, Kimyi worked 15 years in luxury retail in the most prestigious maisons de couture. He also managed a nouvelle cuisine restaurant combining Asian and French cuisines. A keen cook, Kimyi likes sampling new dining spots on the Parisian foodie scene. He will be glad to share his recommendations with our guests. Just ask! When it comes to renting a place, it’s important that you ask questions. But it’s also important for us to understand what you are looking for! We have all lived in Paris at some point, and we know each district by heart. We also know each property we offer since we experience them for ourselves routinely. We are available 24/7 to help! Just call us.